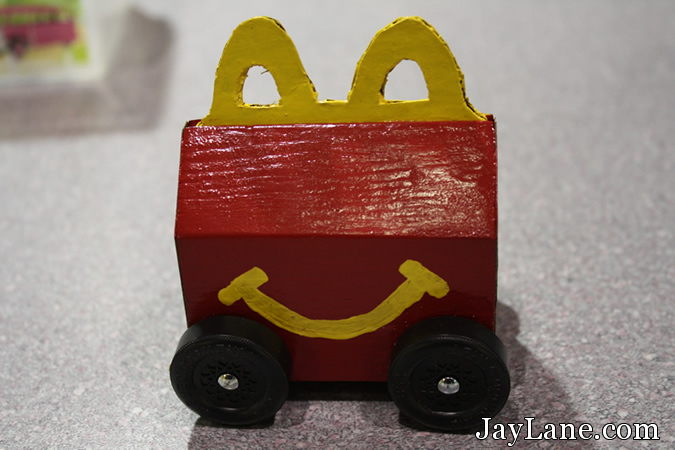 This was a fun project back when my boys were Cub Scouts. 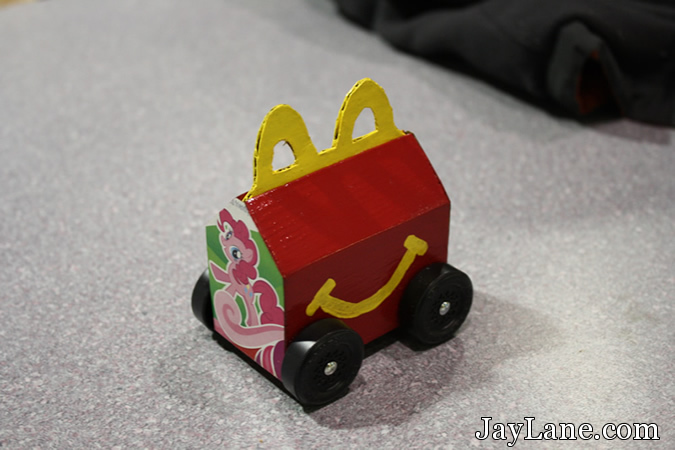 All scouts participate in the Pinewood Derby where they make their own wooden cars and race them against each other. 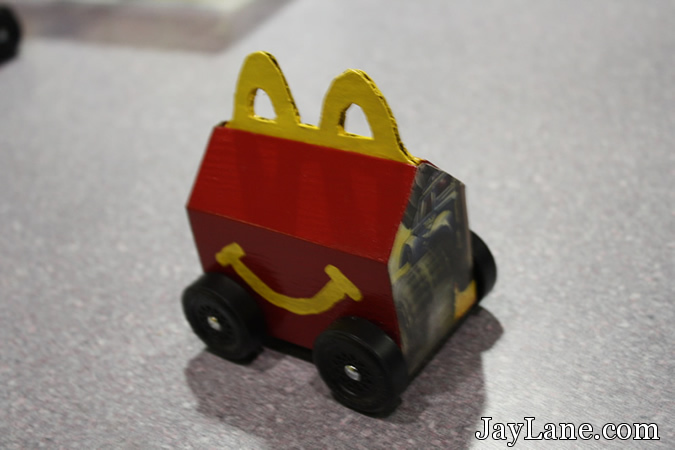 One year, the parents were invited to participate and build mini Pinewood Derby cars. I got the idea to make mine after a visit to McDonald’s. I didn’t win any races but the kids loved it.